After church and Easter dinner with relatives, 11-year-old Tymisha Washington wanted to play before the street lights came on. She joined four friends—none more than 15 years old—at a park near her house on Chicago’s South Side. Then a dark car pulled up to the group, and a passenger asked the kids about their gang affiliation. They have none, their parents told police, but the questioner opened fire anyhow, sending a bullet into Washington’s chin and another into her lung. 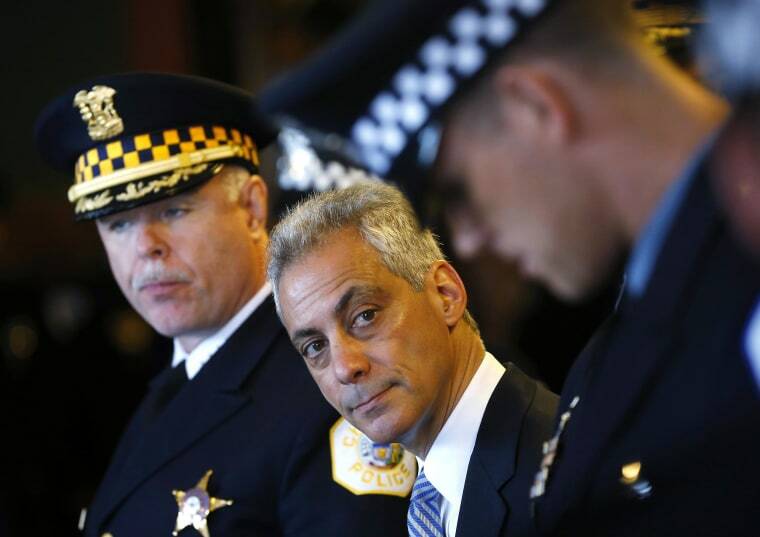 For more than a year now, the Chicago Police department has been on a triumphant run. Murders fell almost 20 percent citywide last year, according to department data, and the first quarter of 2014 saw the fewest murders in any first quarter since 1958. But then the mercury started to rise. Over the last two weekends—the first warm ones in the city this year—shootings spiked. Washington was one of more than 70 people wounded (she’s still listed as critical). More than 10 others were killed. “A bad week," Police Supt. Garry McCarthy told NBC News. “It doesn't wipe out what's happened over the past two years, but it certainly is a wake-up call that we have a lot of work to do." McCarthy has ordered stepped up patrols in communities hardest hit by the violence. He has overhauled the department’s gang strategy, relying on real-time intelligence and the new science of social network analysis to stop the next bullet before it’s fired. He has also welcomed the creation of a 16-member, Chicago-based task force of federal prosecutors, announced on Monday by the U.S Attorney's Office, whose sole goal is to lock up violent criminals. But for any of this to help, it will need to change trend lines that have been telling the same grim story through more than two decades, numerous mayors and police superintendents and the rise and fall of the crack cocaine epidemic. It’s a classic tale of two Chicagos, one of them safe and prosperous, the other one dangerous and poor—and both of them growing more so. “We’ve talked about homicide in Chicago at least one million times but I don’t think this has come up,” according Daniel Hertz, a prominent blogger and public policy graduate student at the University of Chicago, who has crunched the citywide data on homicides and income. The “something” is how the murder rate has fallen overall, but fallen unevenly. The North Side experienced huge 20-year drops in the homicide rate. In Rogers Park it was down more than 80 percent. The parts of the South and West sides of the city closest to downtown—Bronzeville, the Loop—also got a lot safer. “But most of the rest actually got worse,” says Hertz, including the parts of the city (Englewood, Garfield Park) that were already among the most dangerous. He did the analysis because he was tired of hearing Chicago called America’s “murder capital,” aka “Chiraq,” when in fact the city was arguably safer than at any time in its history. Now he understands why some people talk that way, even locals. They persist in believing that the city has gotten worse, because, if they live on the West or South sides, Hertz says, it has gotten worse. "That sense of joy, that sense of [being] carefree should not be determined by where you live." It’s unclear what’s causing it, but Hertz points to another troubling trend. In a new research published late last month, he looked at 40 years of median family income data in Chicago, broken down by race and neighborhood. What he found makes it possible, he argues, “to watch Chicago’s middle class vanish before your eyes.” And the areas among those hit hardest by falling wages? You guessed it: the neighborhoods on the city’s murderous South and West sides, which are disproportionately black and brown. McCarthy and his boss, Mayor Rahm Emmanuel are waging a very loud, very public battle to bring it back into existence. In a speech today to a new class of police officers, Emmanuel said the recent shootings had been on his mind as he biked along Lake Michigan on Easter weekend. He saw families enjoying themselves, their children carefree. "That sense of joy, that sense of [being] carefree should not be determined by where you live," he told the graduates. The new officers will soon be assigned to Chicago's 20 “impact zones,” the places where gun violence is highest and the city is ramping up community outreach as the temperatures rise. “It should be the expectation for every child of the city of Chicago,” the mayor continued. “I will not rest—and I do not expect anybody to rest—until every child in the city of Chicago can enjoy that sense of freedom."